Q. Is there a need for visa in order to travel in India? Q. Is tipping a mandatory thing in India? A. No, Tipping is not considered to be a mandatory practice in India. However, this is witnessed as an action showing appreciation for the services granted by the drivers, sweepers, waiters or any porters while keeping in mind their below average wages. Q. Can I know the Internet accessing conditions in India? A. No traveller here is going to face any kind of issues in the case of Internet in India. You shall easily come across varied Wi-Fi spots as well as the cyber cafes here especially in the urban hubs. However, rural areas and the small areas might show limited Internet or no internet connections there. Q. During my presence in India, can I use my mobile/cell phone? A. Talking about the urban areas in India, there shall be no problem or issues while using your cell phones. But, the problem might exist while being in the mountainous regions or the rural areas. Also, you are highly recommended to ensure that there is an activation of ‘Global Roaming’ on your mobile phone. Q. Tell me about the toilet- conditions in India. A. You are advised to carry soaps, sanitizers, toilet papers and also the hand wash along with you, in case you are not able to find these while using the toilets in India since they are majorly not facilitated. Also, the most common toilets here are the Squat toilets. You can spot the Western-style flushable toilets in the areas meant for tourism or the restaurants. Q. Can I know prices for….? Q. Is drinking water in India fine for me? A. It’s better if you are not drinking tap water in India. Apart from this, you are recommended to make use of the water bottle or the filtered water here. Also, try to avoid the usage of ice in the drinks before drinking them. Q. Can I expect the acceptance of credit cards in India? A. The facility of the payments through the Credit Cards in India is facilitated by the big/modern restaurants, shops or the hotels. However, small shops, stalls in the markets and other rural areas might not avail the same and thus, there arises a need to carry enough amount of cash along with you. Q. What are the ATMs conditions in India? A. The large cities in India have abundant facilities of the ATMs for the cash withdrawal, however, the visitors might spot less or no ATMs in the small cities, rural areas or the isolated areas. So, there is a need for the people to carry enough cash along with them while being here. Q. Is there a need to buy the travel insurance before commencing my journey in India? A. Yes, it is required for the travellers who are on an expedition in India with Max Holidays to carry a travel insurance along with them that shall be attained from their home country only. A travel insurance is a highly necessary element for travelling as the nature, cost and the availability of the health care varies from region to region across the world. Your travel companion shall keep all the records of the travel insurance details during your first day of journey. Q. What are India’s public holidays? Q. Do you have any group departure for a solo traveller or a group of friends? A. Yes, we have the group departure arranged for the solo travellers of the group of friends who are interested in meeting the like-minded people. Q. How can I get myself registered for the facilitation of tour with Max? -	Fill up the Tour Booking form with all the basic information that shall be asked by the form and other mandatory details. -	Shooting us an e-mail at tours@maxholidays.com mentioning your trip’s name as well as the departure date. -	Directly calling on any of our contact numbers belonging to India’s headquarters i.e. +91 11 40504050 (09.30 AM to 06.00 PM) or on mobile number +91 8800740030 (24 hours) number. As soon as our tour professional gets your information, he/she will contact you as soon as possible for the confirmation of your seats’ availability. Q. What kind of hotels can I expect from your side? A. The check-in and the check-out timings in majority of the hotels are 1400 hours and the 1200 hours respectively. However, these timings are flexible and thus, can be made early or late as per the convenience of the guests that too with no extra cost. But, the flexibility is highly dependent upon the number of rooms available when you will be arriving to the designated hotel. It is not guaranteed that the rooms for your complimentary late or early check-ins shall be kept on hold for you, thus we suggest that there must be the reservation of your rooms from the previous night itself. Q. What kind of vehicles can I expect from you during our sightseeing as well as the excursion tour? A. The types of vehicles used for the purpose of sightseeing and the excursion trip totally depend upon the number of members for the tour. We make use of the commendable AC tempo travellers, buses and the cars. Also, the drivers and the additional facilities of these vehicles are highly supportive. Q. Till how many hours can the sightseeing trips usually last? A. The half-day sightseeing shall exceed to 4-5 hours approximately whereas full-day sightseeing shall last up to 8-9 hours and that depends upon the roads’ traffic, and also on the time that you will be taking to spend on every sight. Q. What are the inclusions and the exclusions in your trips? A. The inclusions as well as the exclusions vary from one trip to another. Thus, we have provided a list of all the inclusions and the exclusions in each tour package and it is highly recommended to have a look at them thoroughly. Q. What shall be done if I miss a part of my trip due to the flight delay or any other issue? A. In case, you have missed out any part of your tour due to any specific reason such as the flight delays, then we shall try to accommodate the same if the time permits. However, if there arises a need to reschedule it then the travel expert shall inform you about the additional charges which are going to be paid by you only. Q. What is the language used by the guide for communication during the tour? A. Majorly, our tours comprise of the local guides who are comfortable in communicating with English language carrying an enormous knowledge about the culture, history and the people of the sights you are visiting. Q. Does inclusion in the trip include tipping? If not, then how much should I expect it to be? A. Tipping is not a mandatory thing in India however, it is considered to be a culture in travel. You are not bounded by us in this case and it totally depends upon you on how much you should offer the person as a tip. Bell boys, drivers, restaurant staff or the servants greatly accept the reward given by you and thus, it is highly recommended for you to carry Rs 50 or 100 along with you for the same purpose. Q. What are the payment terms and the cancellation policy while booking the tour with Max Holidays? A. In case you are striving to get your seat reserved in any of our tours, you shall have to make the payment of 10-30% of the total booking price in the initial stage and once the confirmation of the hotel is done from our side, then you will be paying the remaining amount. For more information on the Bookings as well as the Cancellation Policy, refer to https://www.maxholidays.com/booking-conditions.html. Q. Will the amount be refunded to me if I am not able to utilize any tour service? A. No, the amount of any of the unutilized tour service shall not be refunded to you. This is because, we highly recommend you to enjoy each and every service provided by us specially designed as per your convenience. Q. How shall I attain back my documents related to travelling once the tour is done? A. Once your confirmation for travelling with us is done, we shall then send you the mandatory documents and other receipts which are quite important for you during the trip. These documents include list of confirmed hotels, itinerary of the tour as well as the tour invoice. The moment you arrive India, our tour executive is surely going to return back your documents on the first day itself. Q. Are the tours organized by Max Holidays- ‘physically challenged friendly’? A. Yes, Max Holidays happily accepts the booking for the Physically Challenged travellers who want to travel with us. However, majority of the hotels have the facility specially meant for the physically handicapped ones, but still it is highly recommended for you to inform us in the very starting about the disability of the traveller so that we can find out the trip according to his/her ability. Q. Which is the airline used by you? Can I expect a fixed air ticket price for me? A. Max Holidays is indulged in booking the domestic air carriers for the convenient trip of our travellers and also, each and every booking is done in the economy class. The flight fares and other related elements are unconfirmed unless and until they are finally ticketed and also, they can also change without any pre-notice. However, if you are looking forward to travel in a higher class then you can have a communication regarding the same with our travel consultant. Q. Can the Internal Flights get booked by me? A. We ensure that the fare tickets and other facilities are satisfactory for you. But, in case you want to book the Internal Flights by yourself, we have no issues. You can do the same, and when done you just have to send us the copy of your flight ticket so that we can facilitate the upcoming travel services for you accordingly. Q. Can I expect any pre and post travel services from your side? A. Yes, we are here to provide you the pre and the post travel services. You can contact our travel executives whenever you want to have a certain information on the deals or offers while booking. Max Holidays is sure to give you an experience for lifetime by booking your reservations at the best cost available. Q. If in case I am not able to join the tour due to any kind of emergency, will my travel voucher stand transferrable then too? A. In majority of the cases, the voucher is non-refundable and this is because the reservations shall be facilitated and undertaken under your own name, however in case you are stuck in an emergency and thus are not able to join the tour than you can surely contact our Indian headquarters and explain them the whole situation that you are stuck in. The authorized team leader shall have a look at the type, nature and other characteristic of your tour and then confirm accordingly. But, the transferability of the voucher is not guaranteed. Q. Can the travel booking be changed once I am done with the booking? A. Changing your travel dates once your booking is done is only possible if we have not yet booked your flight tickets, rail tickets or the Hotel reservations. There is a need for you to check the same and have a written consent with the Indian headquarters of Max Holidays. Q. Can you suggest me on how to prepare for my tour to India? Q. How can I get a chance to explore India at its best? A. It is highly recommended from our side that you should visit India keeping the rural areas in view. Also, adding on to the vibrancy of your tour here will be the festivals. 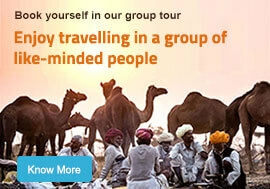 You can ask us to schedule your trip during any festivity in India as it is surely going to be a memory for you. You shall have a look at the varied cultural festivals which are celebrated in each city through the information given on our website and schedule the tour as per that. Q. What will be the procedure of my pick up from the airport? A. A tour representative from the Max Holidays shall be present at the airport for picking you up and you are not at all allowed to leave the India terminal without our representative. He/she will be there standing with a board on his/her hand accompanied with your name on it. However, you will also be given the contact details of our tour executive before the commencement of your journey in India. Q. Can I know the kind of medication from your side in India during an emergency? A. India contains a good number of medication facilities, still we recommend you to carry your own medicines along with you. This is because, you will find the medicines here but they shall be named under a different brand and not the same as in your own country. Still if you are facing any kind of issues, we are here to assist you in that matter as there are many good private hospitals in India with a good number of facilities. Q. Are the residents in India fluent in understanding English as well as other foreign languages? A. English is spoken and also understood by many people in India especially the centres meant for Tourism. Still, you are suggested to seek assistance from the guides. We have got a good number of guides for your convenience who know other foreign languages apart from English i.e. German, French, Chinese or Russian. They will not only assist you in sightseeing but are surely going to give you the best experience while exploring the best of India. Q. Will I have the flexibility in the meals during my tour? A. Yes, surely you are going to have the flexibility in the meals. Although, we will have the breakfast and dinner organized for you but still in case you are striving to eat something of your choice, you undoubtedly can! We ensure that our travel advisors and customer care executives help you to plan a perfect travel itinerary with us. For any travel related query or any required information please get in touch with our India headquarters using the below email or phone no.